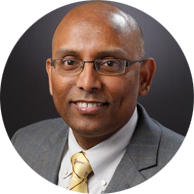 Dr. Ravi Kamepalli is a Board-certified Infectious Disease, Wound care, and Obesity medicine physician. He is a Fellow of Infectious Disease Society of America, and a Clinical Assistant Professor at The University of Toledo College of Medicine and Life Sciences. He has a passion for all things infection and wound-related, with a particular emphasis on Healthcare delivery, transitions of Care and use of telemedicine in removing barriers to healing. He has done over 60 Clinical Trials. He hopes to help create a self-sustaining health care system in India though the use of Population health methodologies and technology.